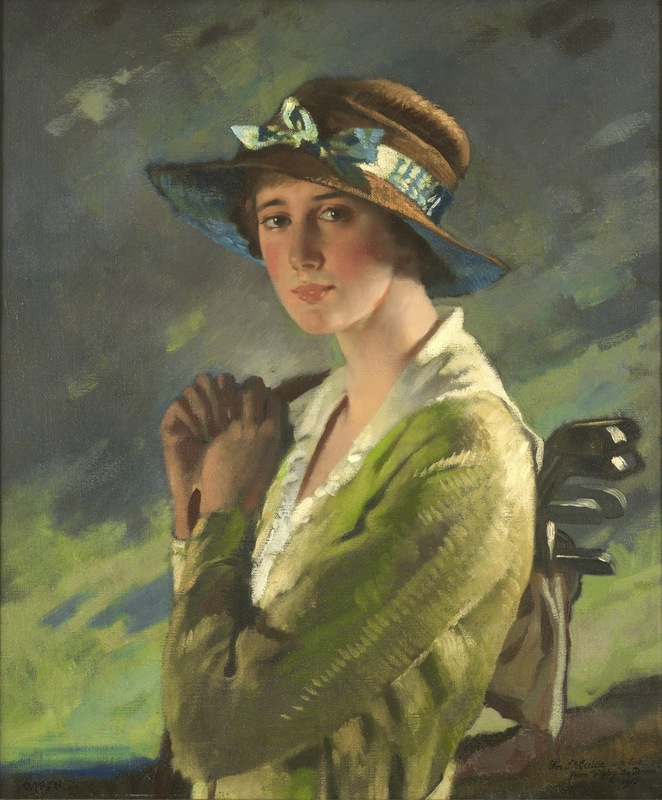 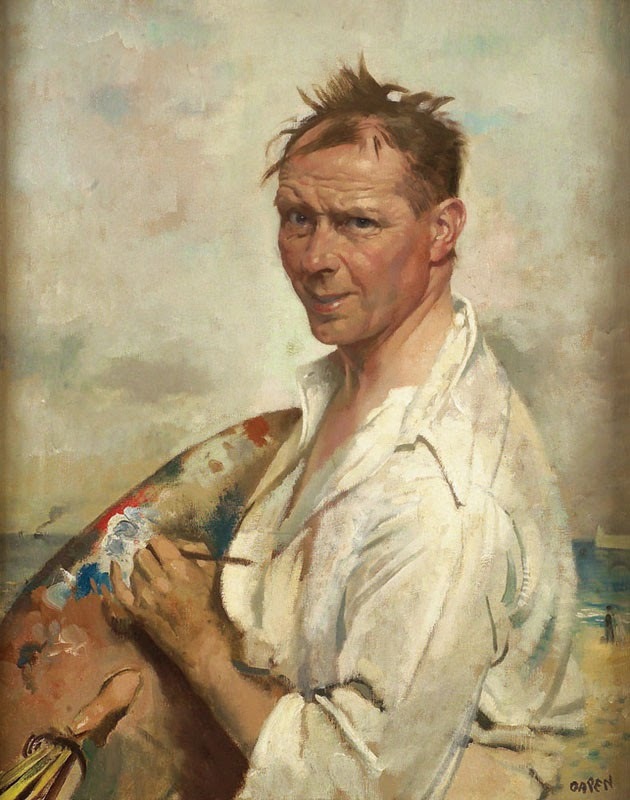 Sir William Orpen [1878-1931], in full Sir William Newenham Montague Orpen was a Irish painter. 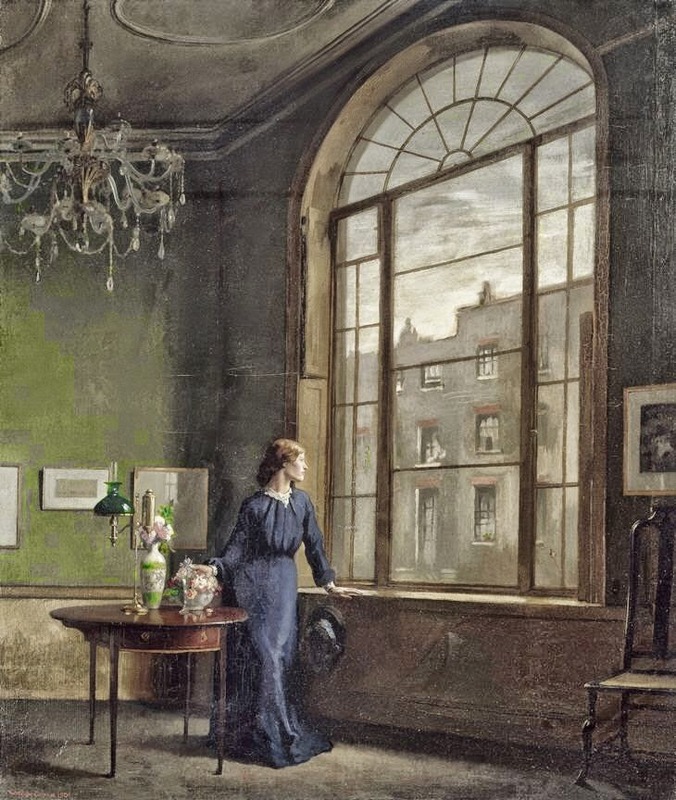 He attended the Metropolitan School of Art, Dublin (1891-7), and the Slade School of Art, London (1897-9). 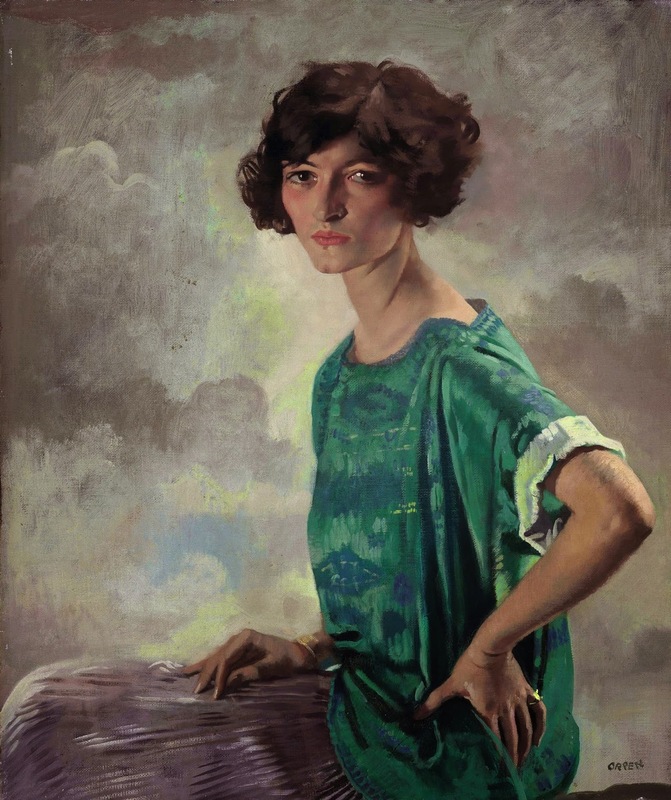 He became a friend of Augustus John and joined the New English Art Club.. 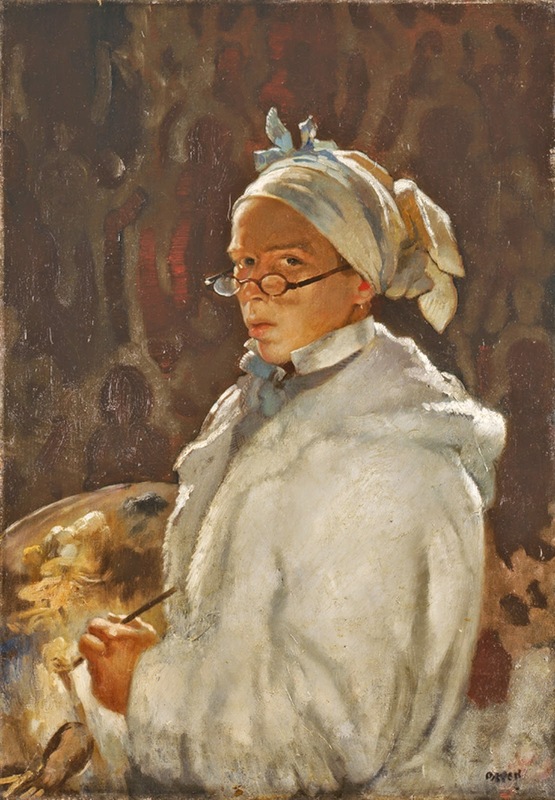 The influence of Velázquez, in particular, is apparent in such early genre subjects as The Mirror (1900; London, Tate). 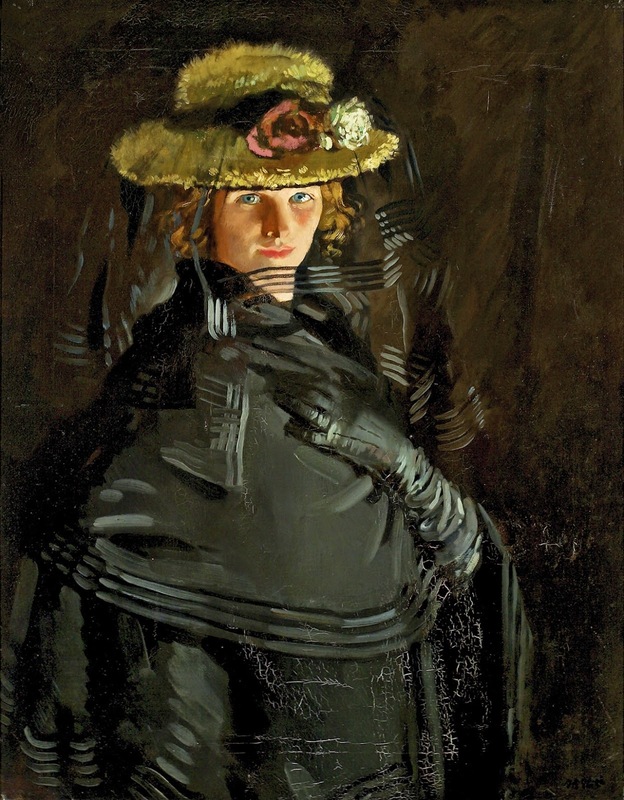 His bravura portrait style was probably also indebted to Manet: his Homage to Manet (1909; Manchester, C.A.G.) 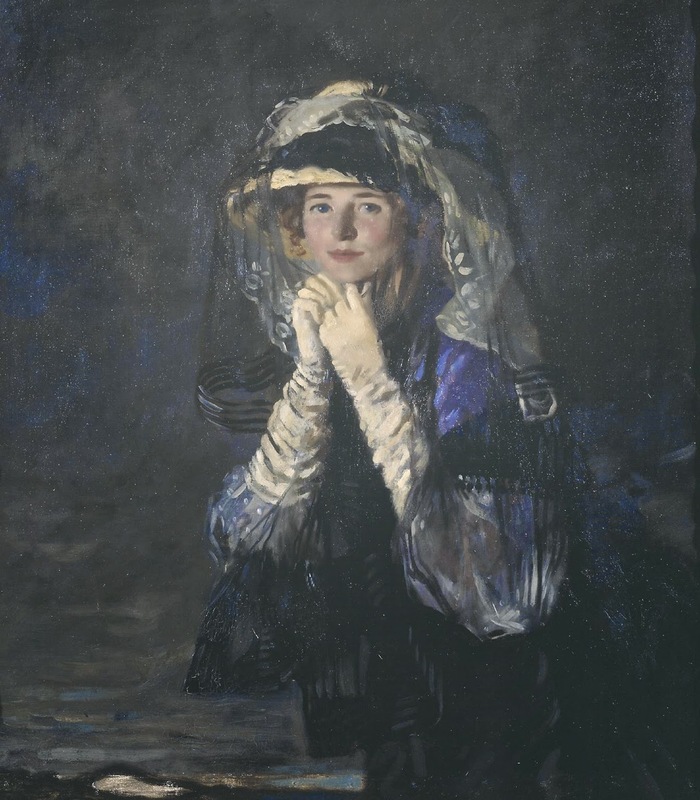 was a group portrait of members of the New English Art Club, including Philip Wilson Steer, Walter Richard Sickert, Dugald Sutherland MacColl and Henry Tonks, sitting beneath Manet's portrait of Eva Gonzalès (London, N.G.). 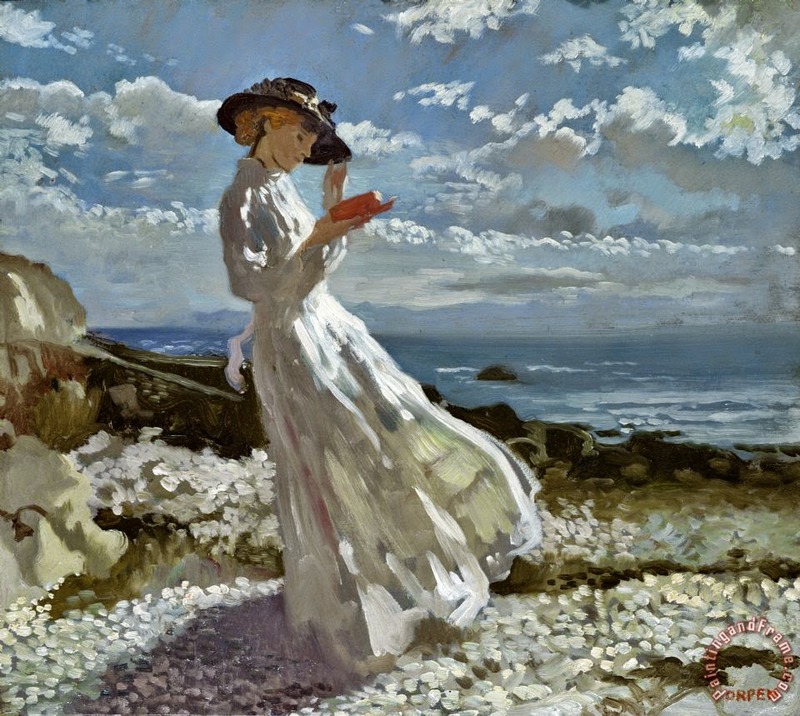 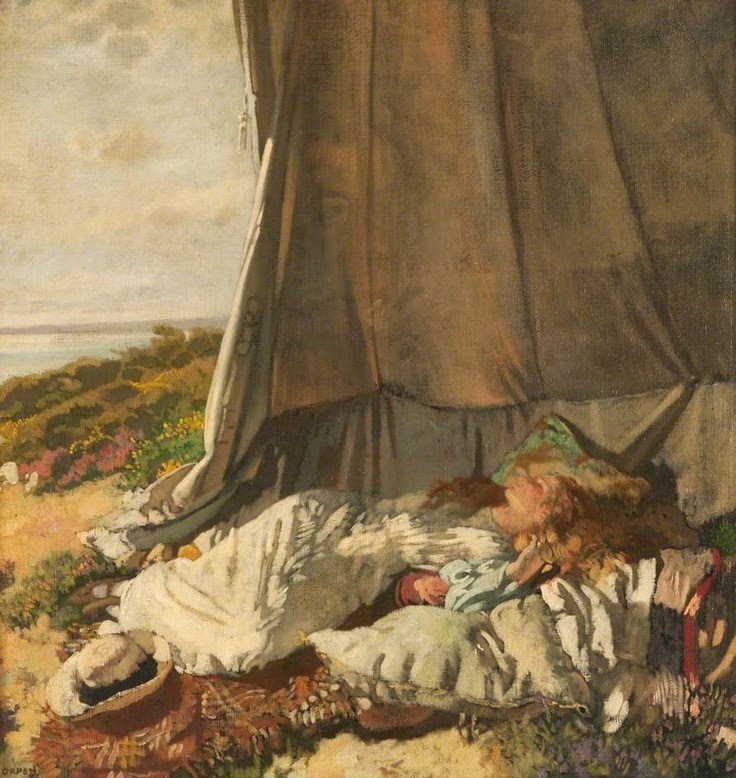 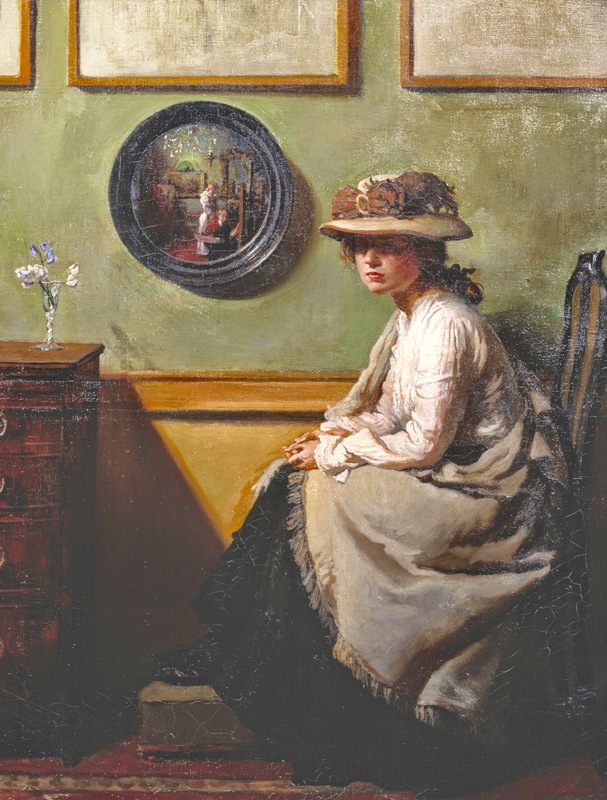 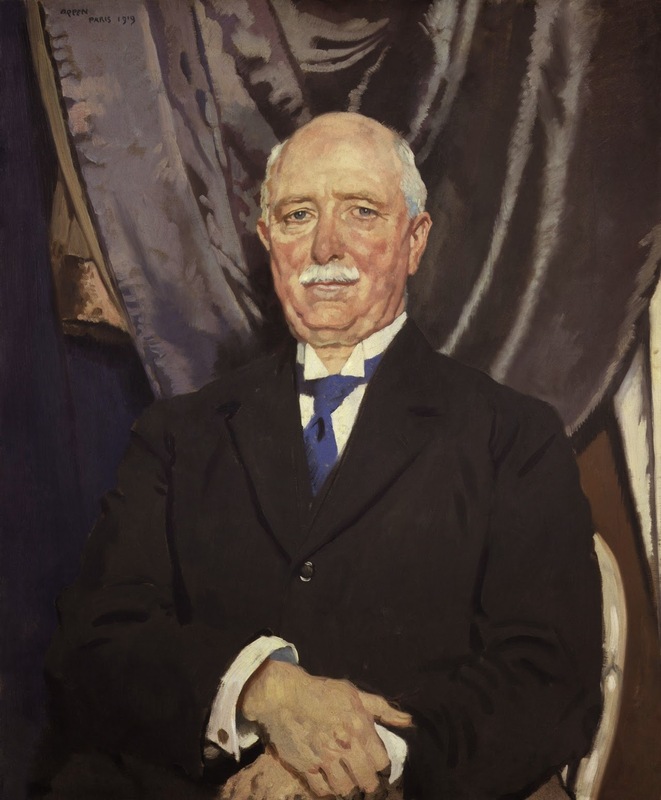 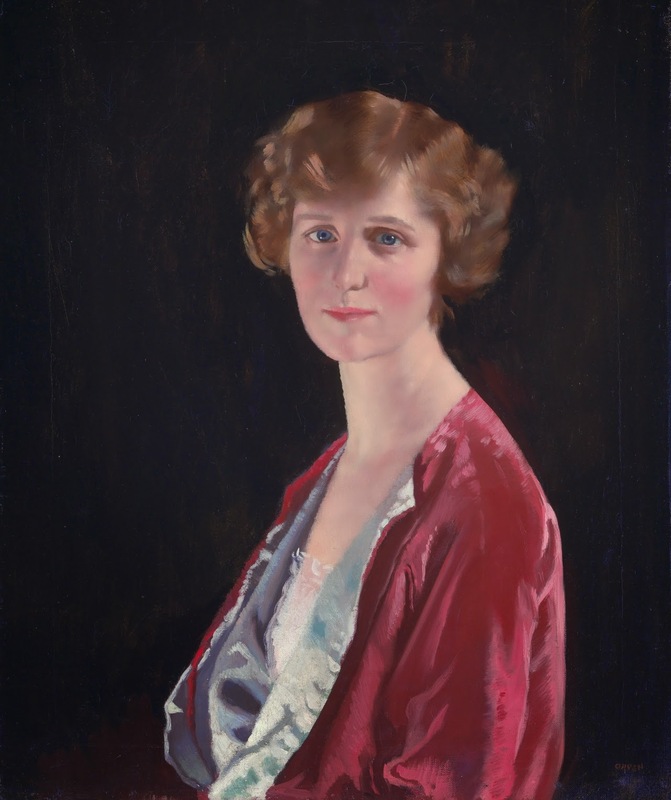 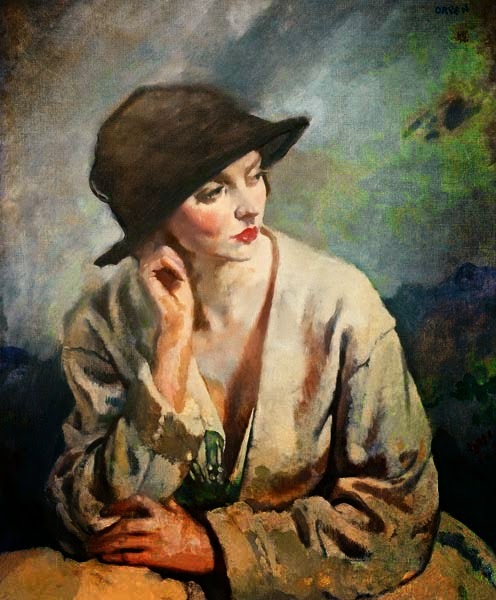 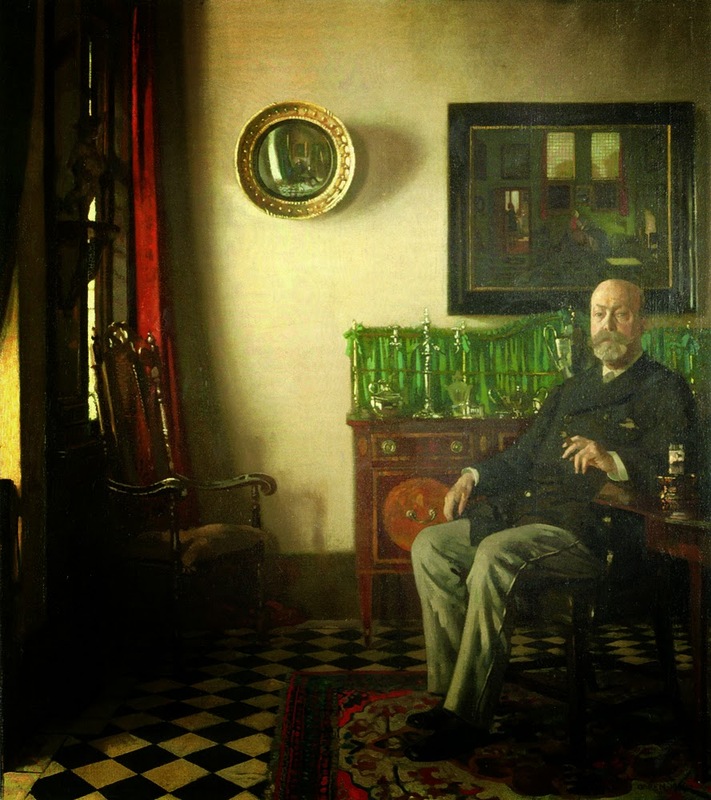 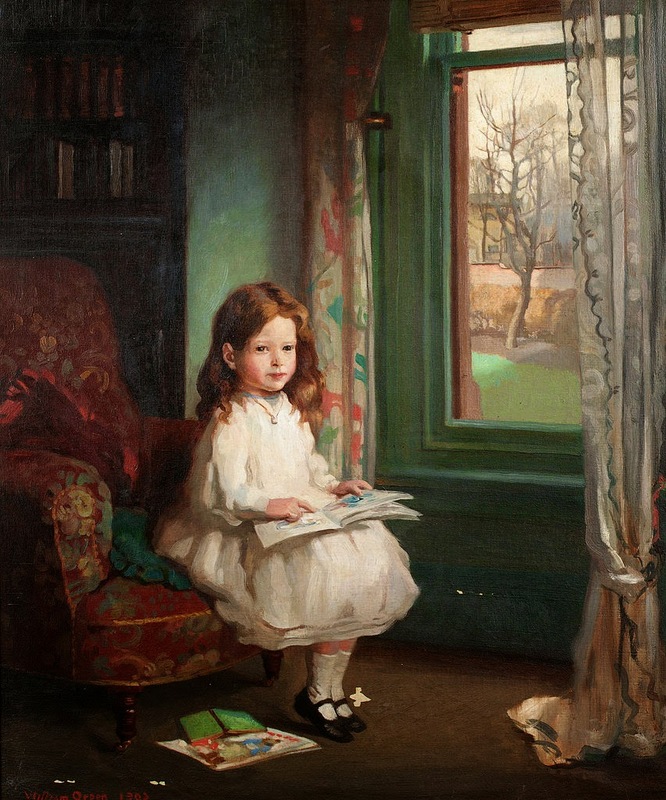 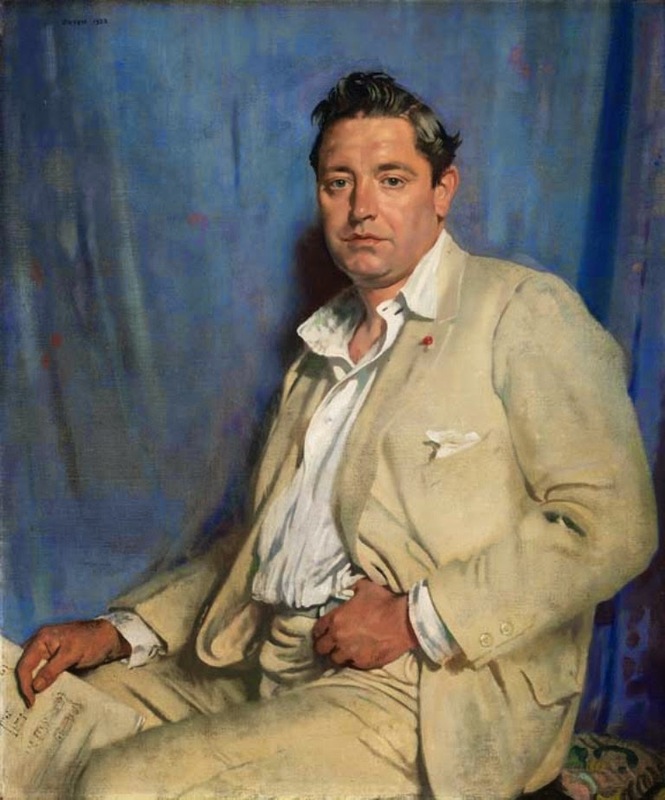 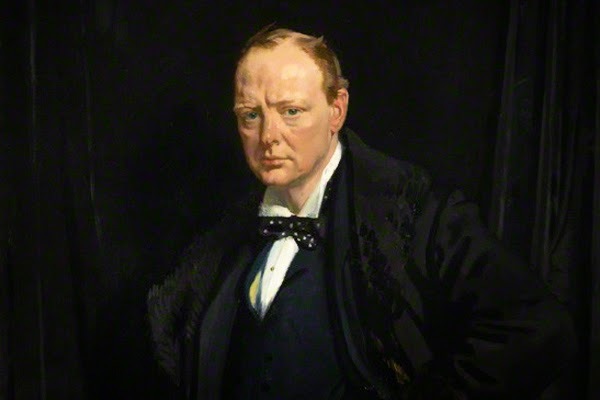 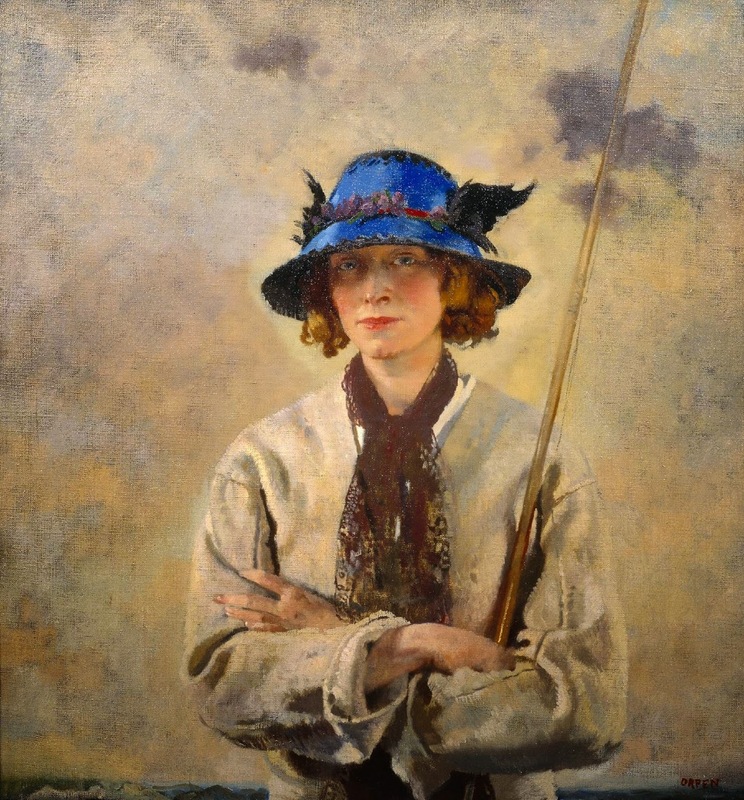 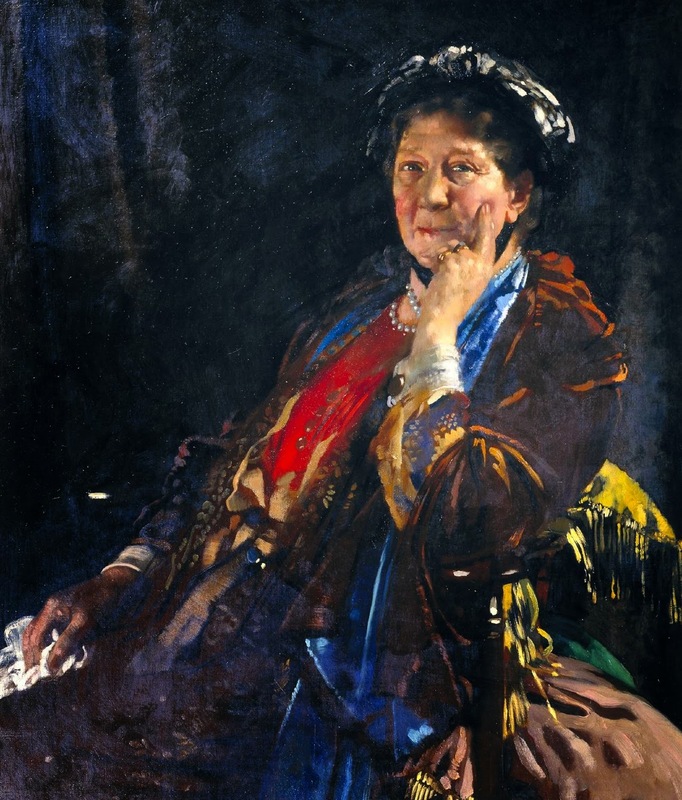 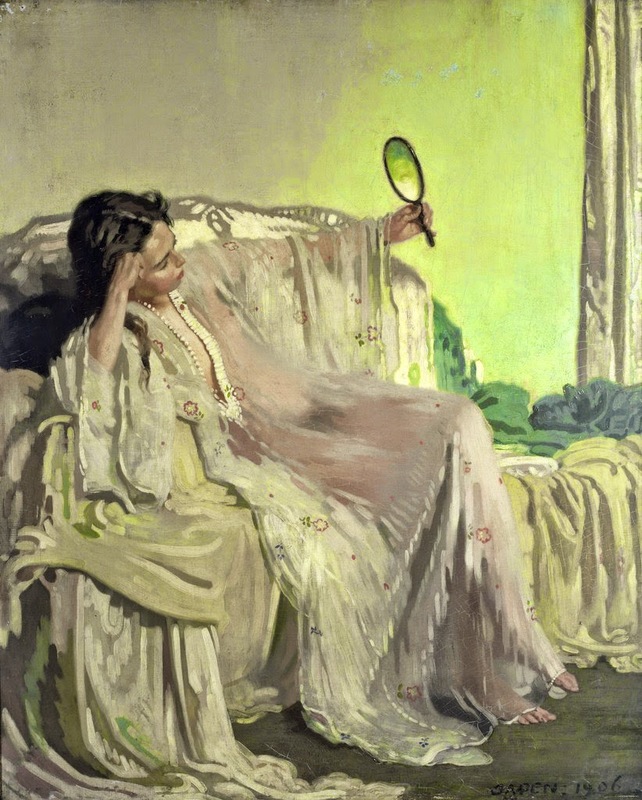 Orpen was financially one of the most successful, and eventually one of the most honoured, portrait painters working in Britain in the twentieth century. 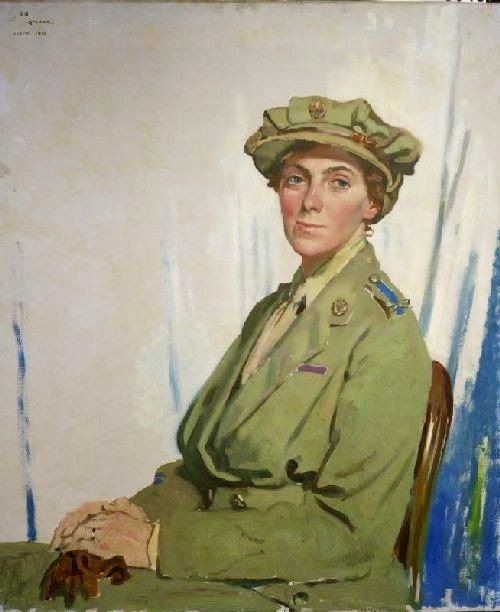 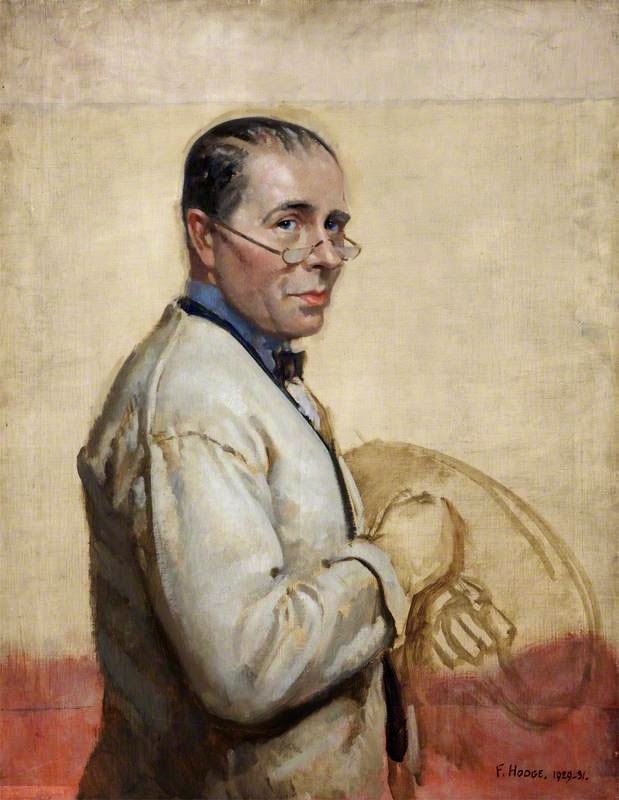 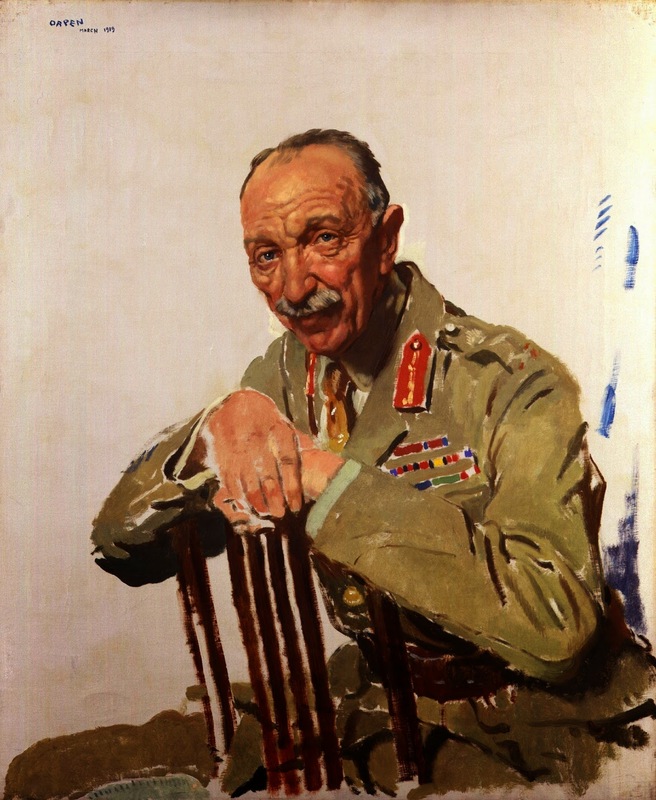 In 1917 Orpen was appointed an Official War Artist. 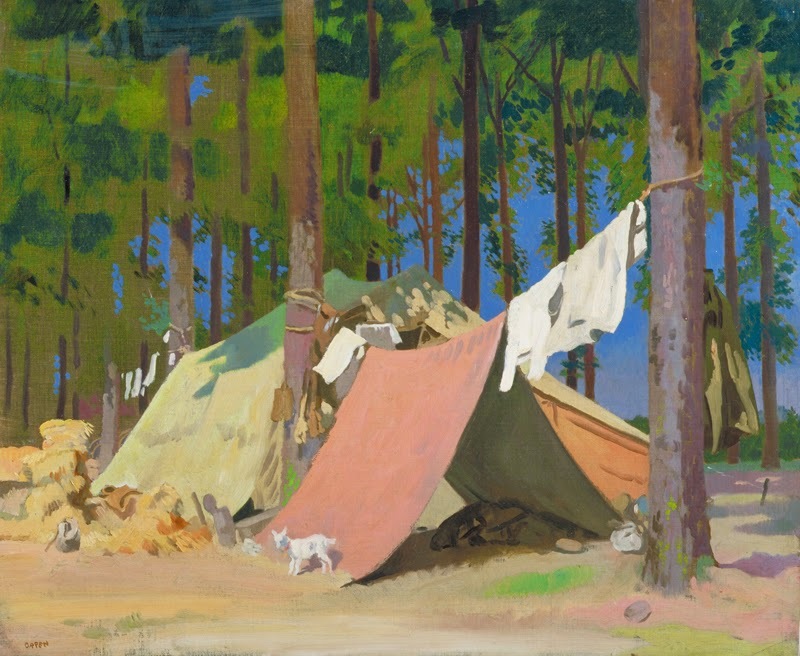 An exhibition of his war paintings, watercolours and drawings was held in London in the spring of 1918.In his illustrations to An Onlooker in France, 1917-1919 (1921), Orpen depicted scenes of trench warfare, often in grim detail, but he found it difficult in his larger paintings to come to terms with the broader implications of the war. 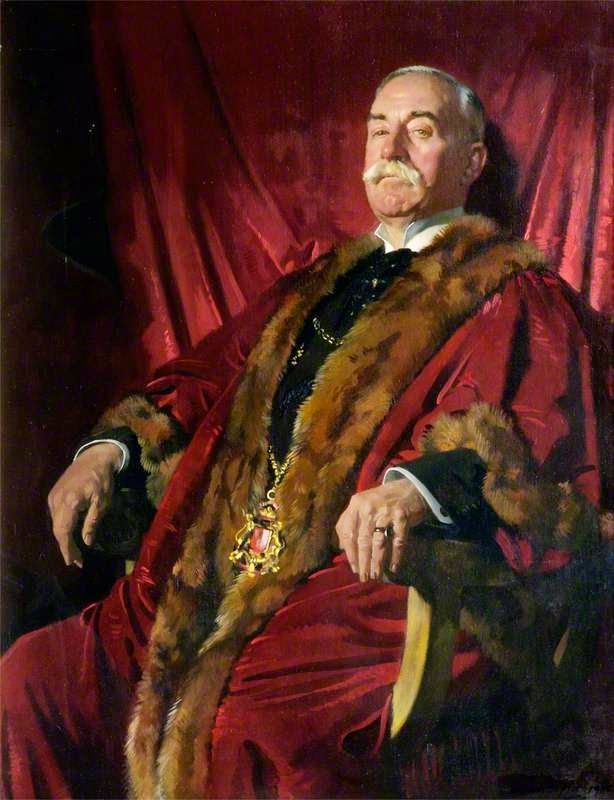 He received a knighthood in June 1918 and was elected ARA in 1910 and RA in 1921. 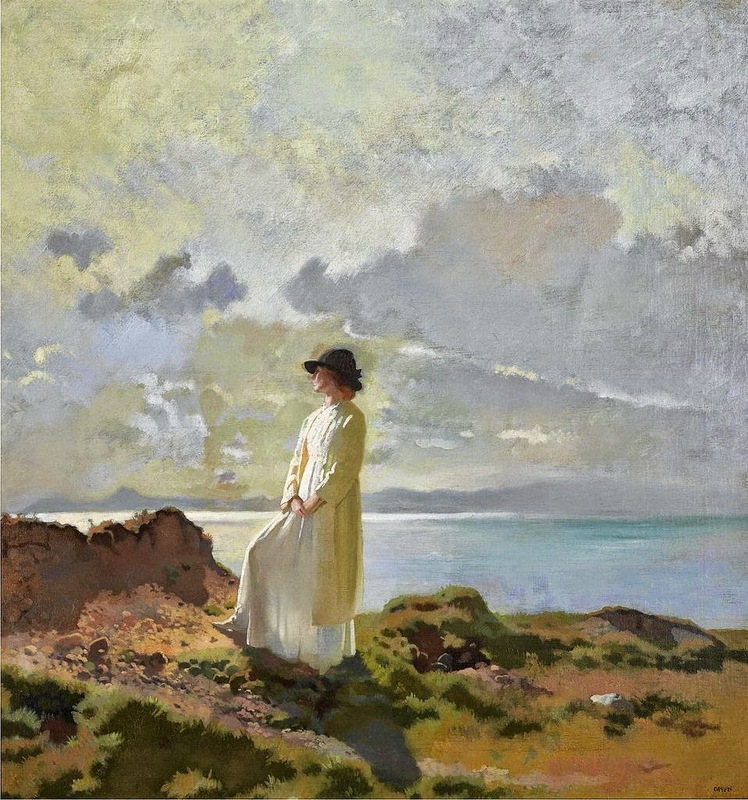 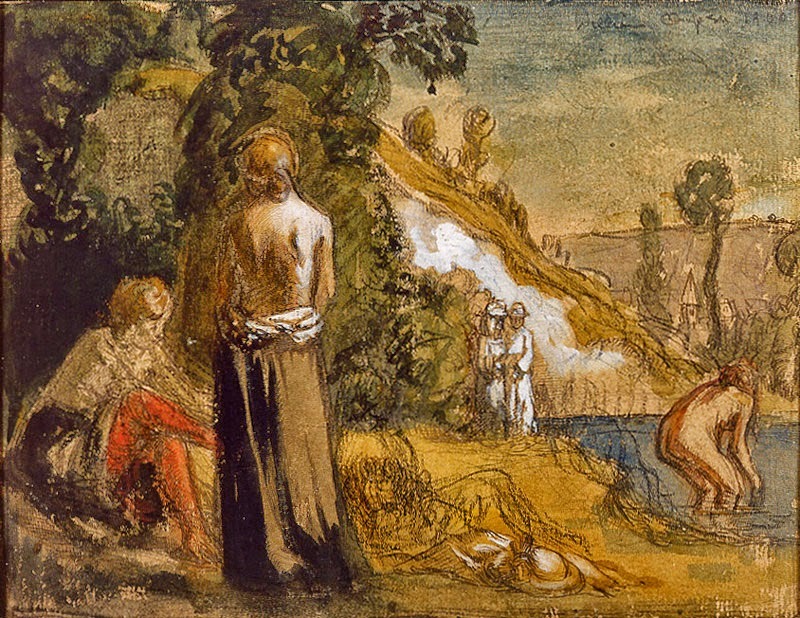 Orpen's production of paintings and drawings, in spite of the relative brevity of his life, is impressively large: he worked quickly and drew almost daily, usually for long hours. 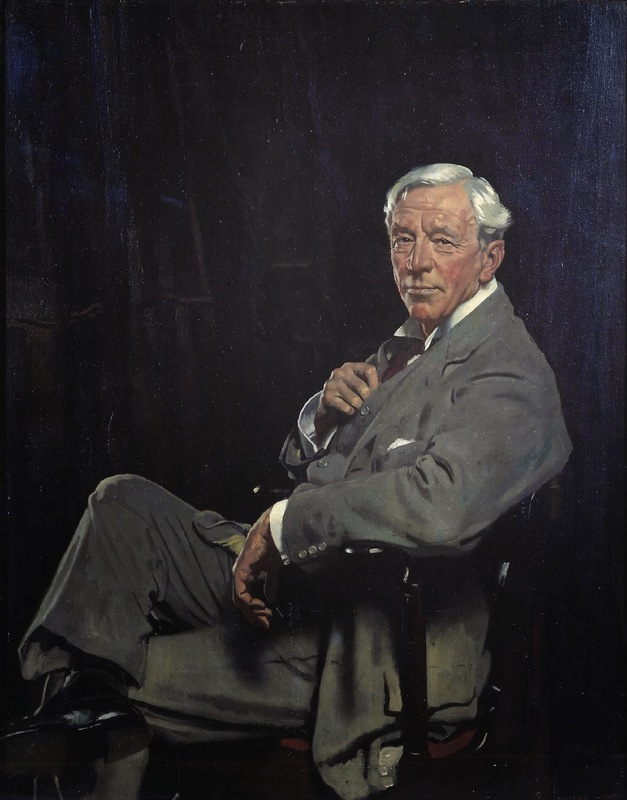 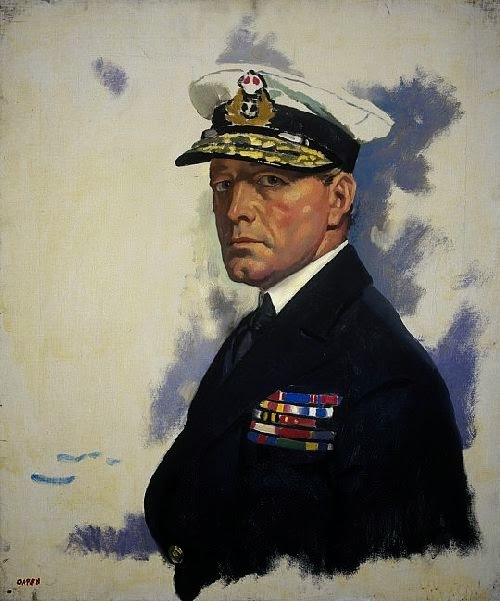 Orpen, Sir William Newenham Montague. 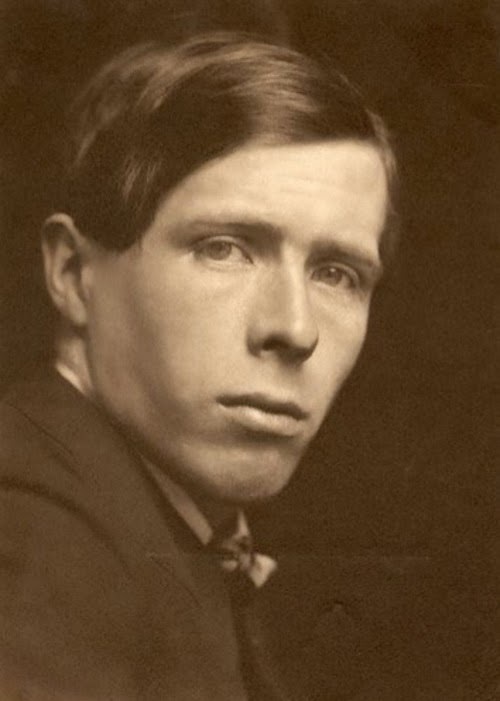 - Pittore, nato il 27 novembre 1878 a Stillorgan (Irlanda), morto a Londra il 30 settembre 1931. 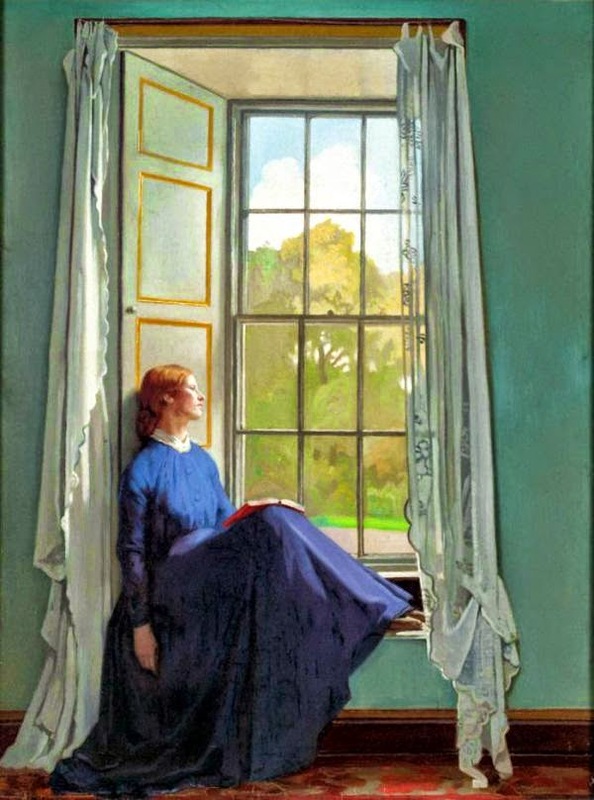 Studiò prima alla Metropolitan School of Art di Dublino, poi alla Slade School di Londra. 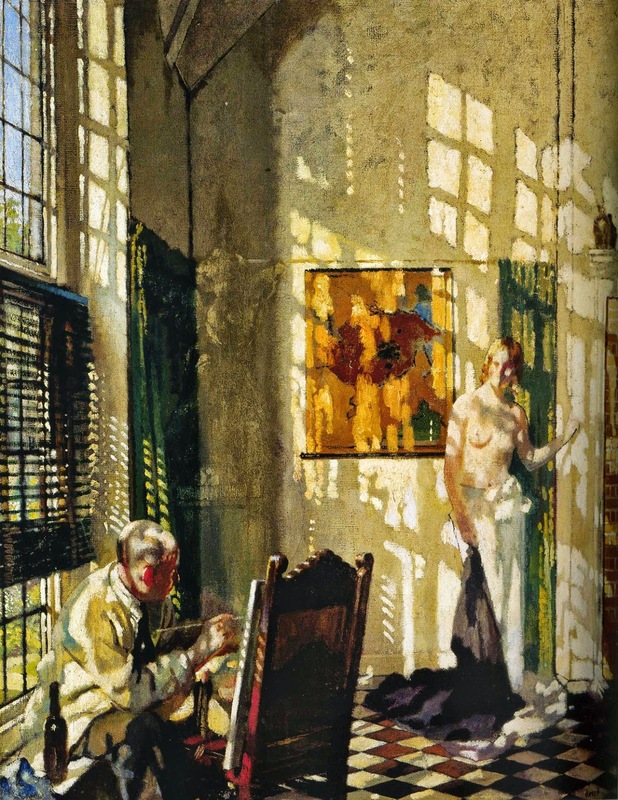 Espose per la prima volta al New English Art Club nel 1898; fu eletto socio della Royal Academy nel 1910, accademico nel 1919 e fu tra gli artisti ufficiali scelti dal governo per dipingere quadri della guerra mondiale e della conferenza per la pace. 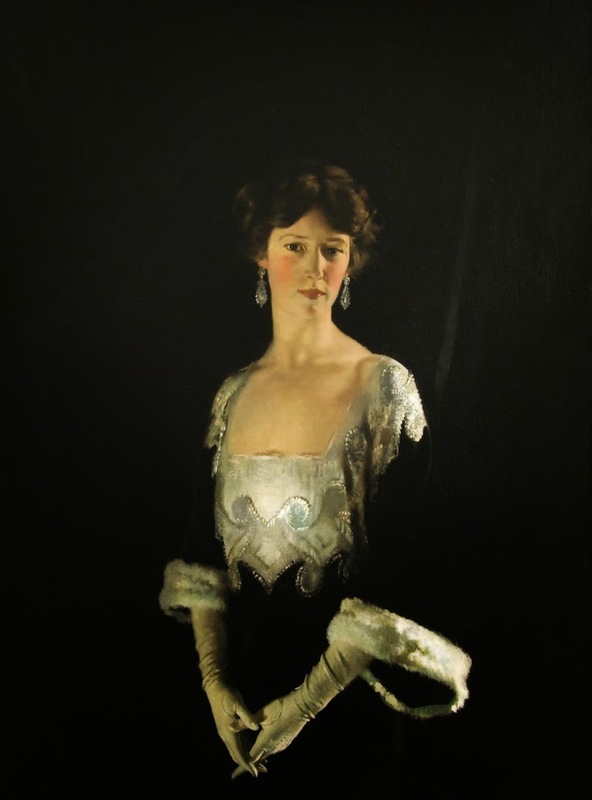 Fu fatto nobile nel 1918. 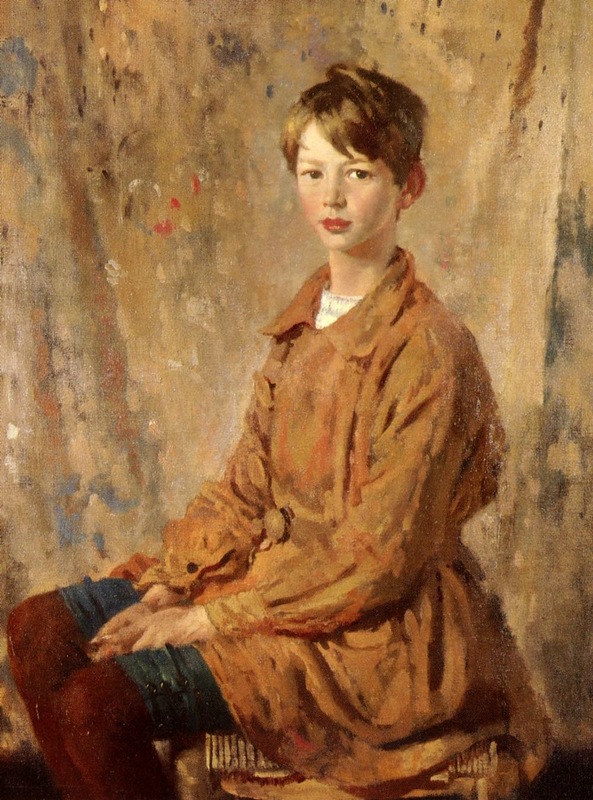 I suoi quadri, tra cui i migliori sono forse quelli d'interni, furono costruiti, piuttosto che composti, sempre con lo scopo di sorprendere lo spettatore e di esibire la straordinaria abilità tecnica dell'artista. 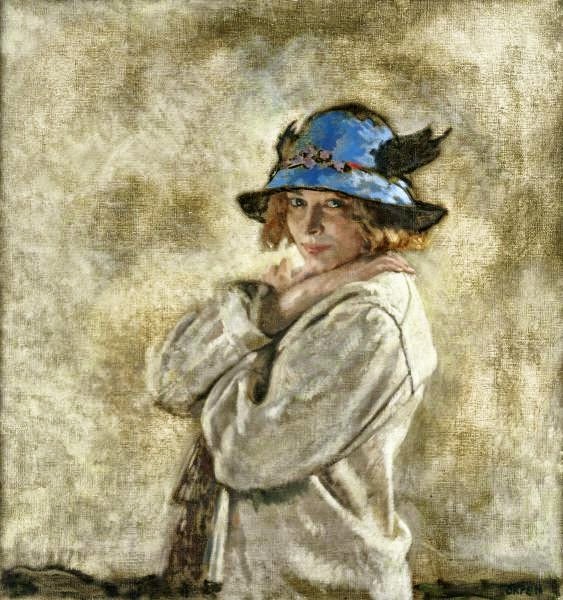 Nel ritratto ebbe vera capacità d'individuare il carattere e possedette anche uno schietto senso di humour. 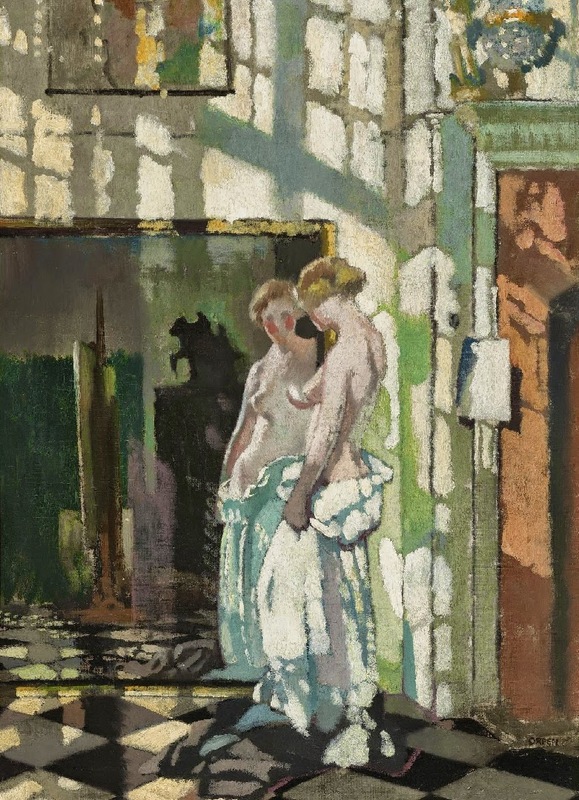 Tra i suoi dipinti di maggior effetto, dei quali una raccolta rappresentativa venne esposta nel gennaio 1933 alla Royal Academy, sono da ricordare: La firma della pace (Imperial War Museum); Omaggio a Manet (Manchester, Art Gallery); molti autoritratti, come, per es., quello detto Il lagopede morto e Lo specchio (Londra, Tate Gallery). 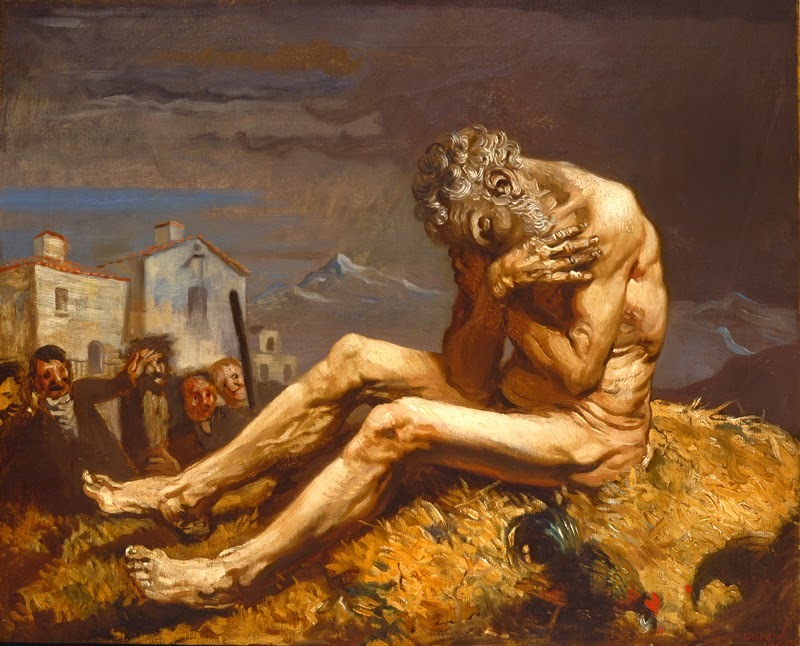 Bibl. 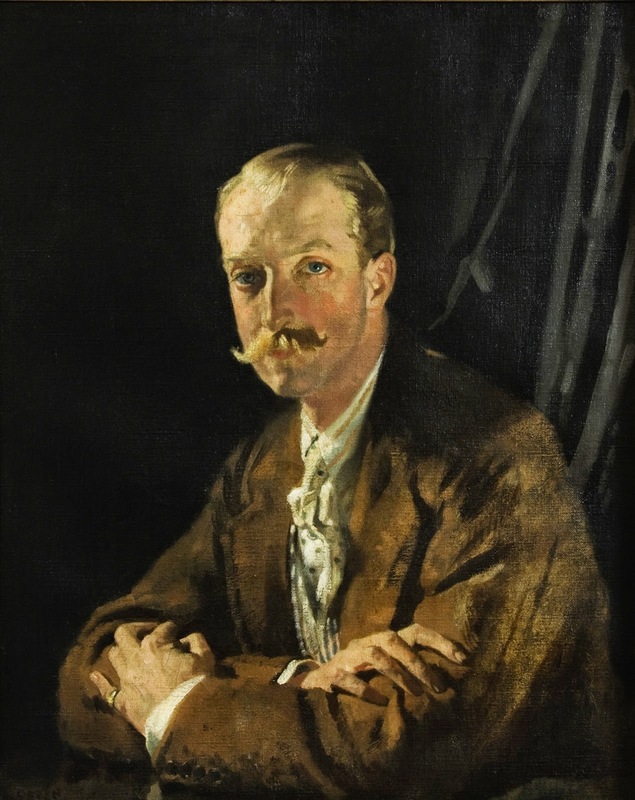 : E. Cosomati, W. O., in Dedalo, VIII (1927-28), pp. 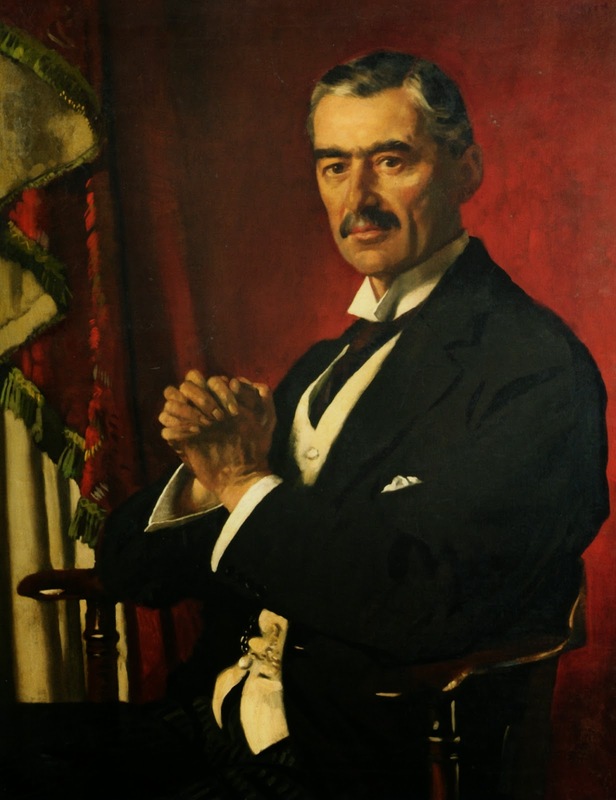 244-64; The Times, 1° ott. 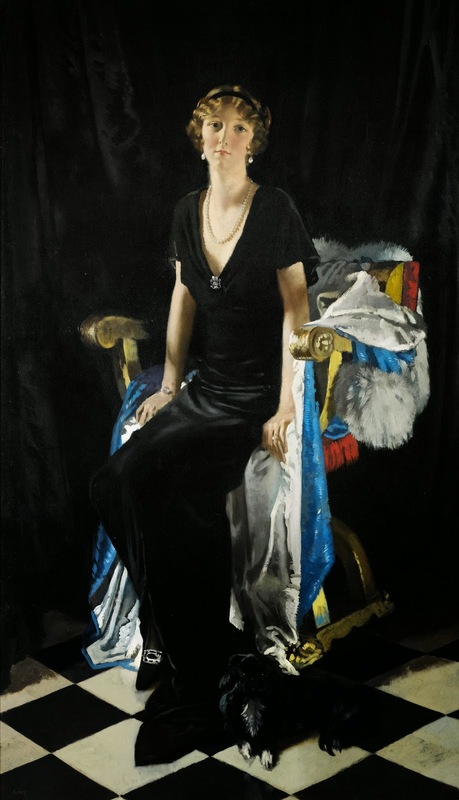 1931, 7 genn. 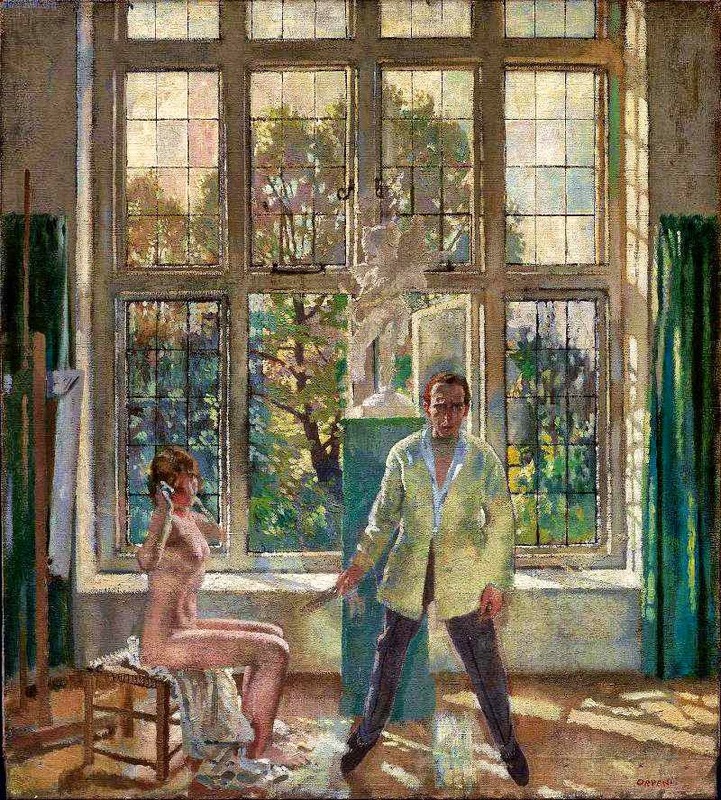 1933: Thieme-Becker, Künstler-Lexikon, XXVI, Lipsia 1932.